This is one of the most intriguing books I've read in a long time, and it's from a debut author! 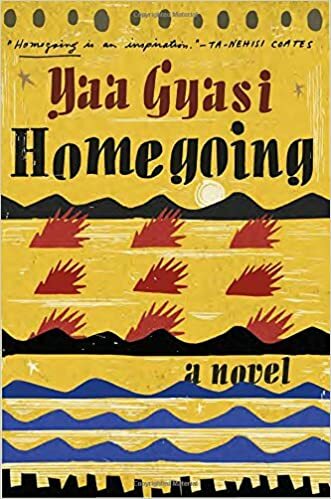 Homegoing follows two half-sisters Effia and Esi, and their subsequent generations. One marries a British slaver and the other is sent to the America's as a slave herself. One thread follows Effia and her descendants throughout the history of Ghana, the tribal wars, the eventual end of the slave trade, and British colonization. The other thread follows Esi and her family as she and her children are raised in slavery in the United States, their experience throughout the Civil War, great Migration, and the jazz age in Harlem. Both stories converge at the end of the book with the stunning realization and reality of the lost family histories of African Americans. With every chapter in this book we follow another family member, either from Effa or Esi's side, usually just one generation removed. With every new chapter I was prepared to not like or feel for a character as much as I did in the previous chapter, but every time I was proven wrong. Although I wished I could read more and more about everyone my heart melted for every new generation. Sometimes survival was the only thing pushing these characters through the challenges and tribulations of their lives. Gyasi makes it so clear that the people we become is greatly influenced by those who come before us, even when some of those stories are lost or stolen people never stop searching for their past. People's personal histories are ingrained in them and never leave.